You will be impressed by Khao Yai National Park. We'll go hiking and watching the animals at night.There are also many natural plants for you to admire, and the serene nature to make you feel relaxed. Please join me on my trip! 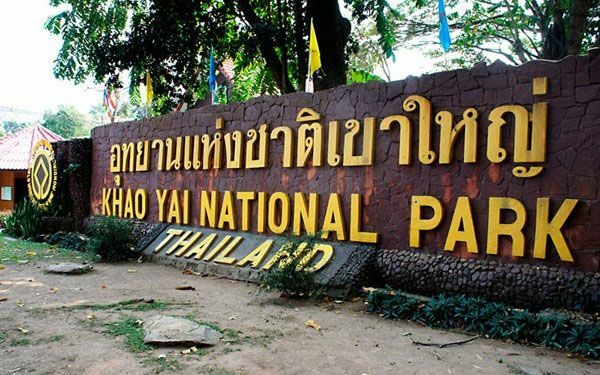 It's time for us to travel to Khao Yai National Park in Nakhon Ratchasima province. We've arrived! Let's start with having lunch in Khao Yai National Park. Let's eat some local food! We are here at Haew Suwat Waterfall! Let's take in the atmosphere and enjoy the beautiful waterfall! Hmm.... you might be hungry at this time. I say, let's have a local dinner! After your stomach is full, let's enjoy a wildlife tour at night at the Night Safari. It takes about 40-50 minutes. If you are lucky you might get to see wild elephants! It's time to head back home to Bangkok. You can take a rest while listening to relaxing therapeutic songs while we drive back to Bangkok. We are back in Bangkok! This is the end of the trip, and I'd like to thank you very much for joining me! We are happy to conduct a tour that make people happy and enjoy and get the most valuable experiences whatever where we go. All in one trip that will be your good memory. Thank you very much. See you next time. Aritat was a very helpful guide although he doesn’t speak perfectly English. He is very cheerful and friendly and provided everything for our own comfort! Night Safari was quite disappointing cause we didn’t see neither elephants or other animals but we had a good day! Yes, everything is fine, but regret that you do not see the elephant. Thank you very much for choosing this trip. You are a good friend, very fun today, I want you to come back again and I will wait for you.